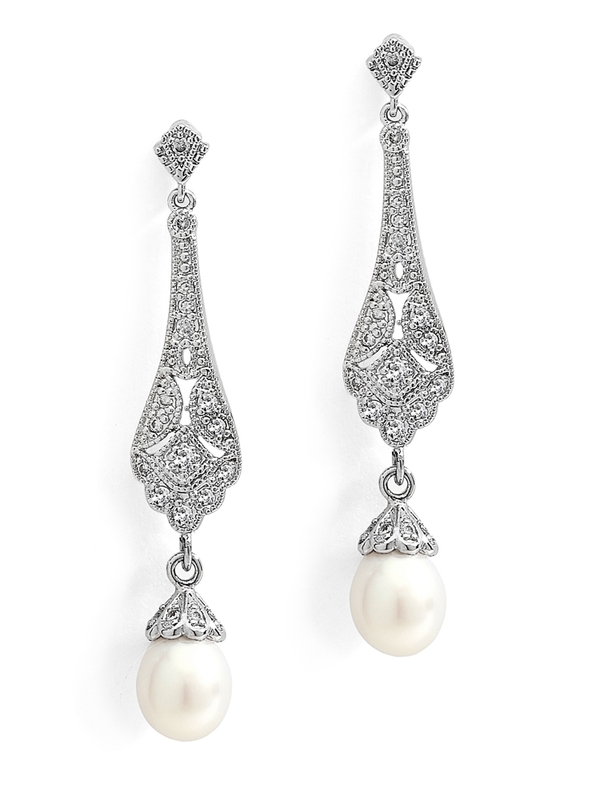 Mariell's graceful art deco CZ bridal freshwater pearl and CZ earrings are one of our most popular wholesale bridal earrings. They are plated in rhodium. 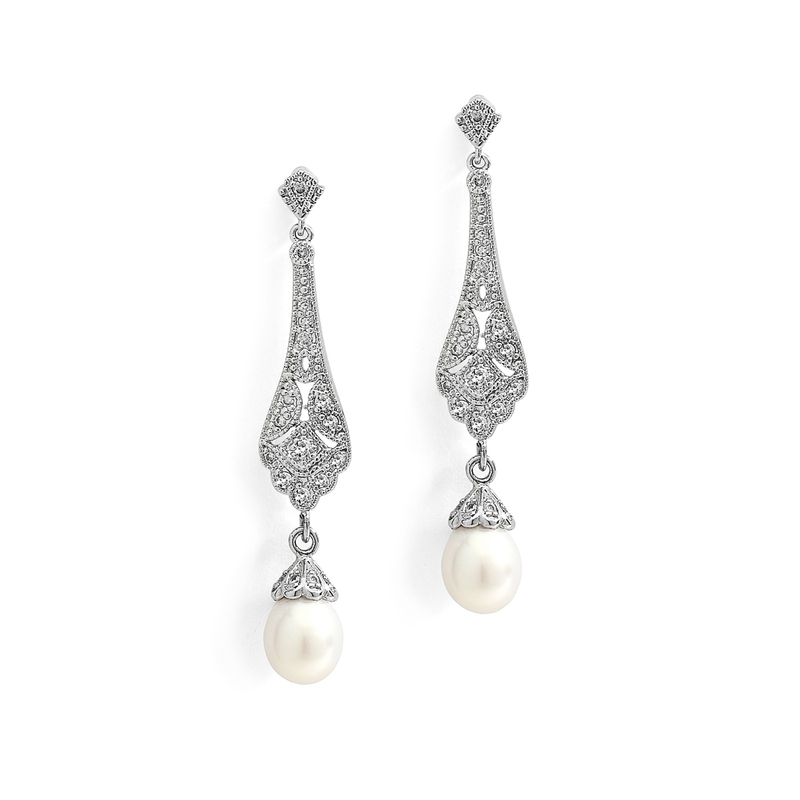 Mariell's graceful vintage freshwater pearl earrings are one of our most popular bridal designs. These delicate CZ dangle earrings are 1 3/4" h and are plated in silver rhodium.